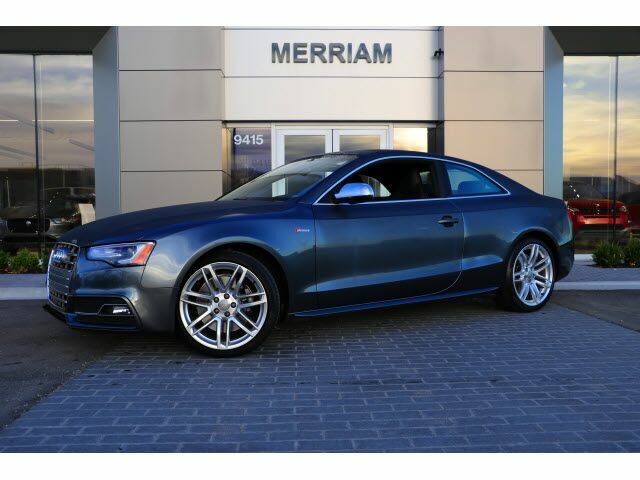 Very Nice 2015 Audi S5 Premium Plus quattro Coupe in Daytona Gray Pearl over Black Interior. Local trade-in, clean Carfax! Fun to Drive with 6-SPEED MANUAL TRANSMISSION! Very Nicely Optioned with Fine Nappa Leather Package, quattro with Sports Differential, Bang & Olufsen Sound System, Technology Package, 19 inch Wheel Package, Carbon Atlas Inlays, and More! Please Contact Brian Stacy 1-855-979-0255 to Test Drive Today! Aristocrat Motors, Kansas City's premier luxury dealer strives for the highest levels of customer service. Voted "Best in Business" by the readers of Ingram's magazine, our customers are our number one priority.